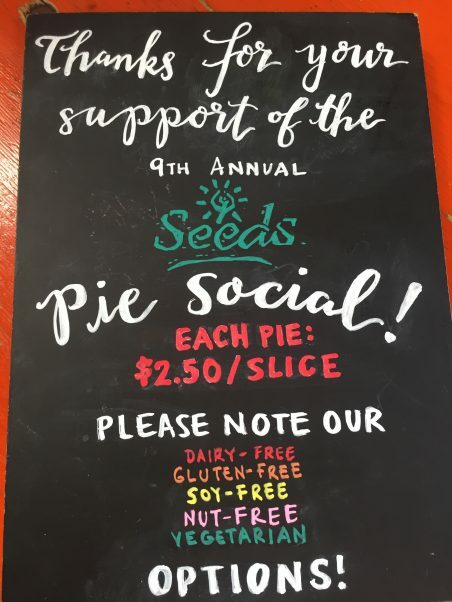 On Sunday, May 27, SEEDS hosted its 9th Annual Pie Social to support educational garden programs for Durham youth this summer. 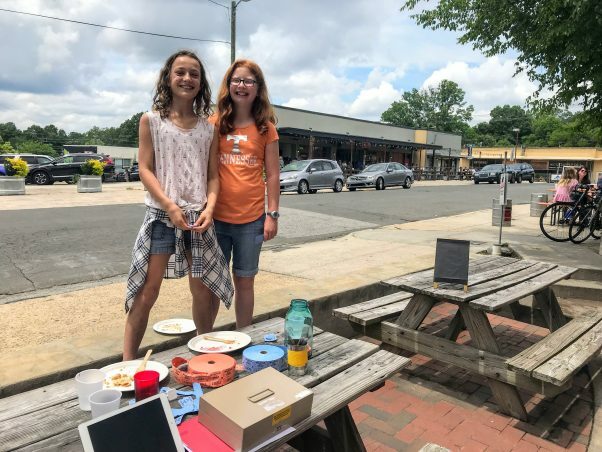 Because of the incredible support of the Durham community and local businesses, this year’s event was a smashing success! 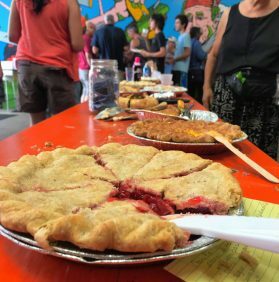 Over 80 pies were donated by local restaurants and community members and SEEDS raised over $1,900! 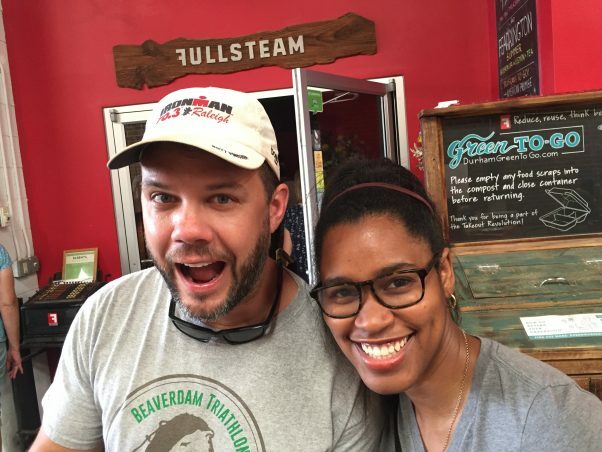 We would like to sincerely thank Fullsteam Brewery for hosting this year’s Pie Social at their space in Downtown Durham and for their support in coordinating and donating beer sales during the event! 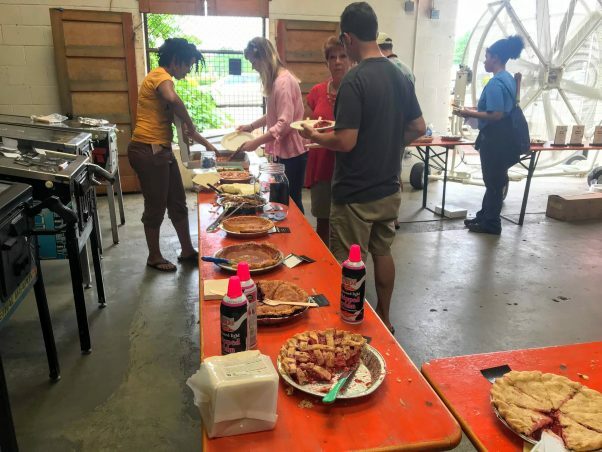 A big thank you as well to all of the businesses who donated pies, including Weaver Street Market, The Pie Hole, Scratch, Monuts, Bean Traders, Lilly’s Pizza, Jack Tar & The Colonel’s Daughter, Pizzeria Toro and Guglhupf Bakery. 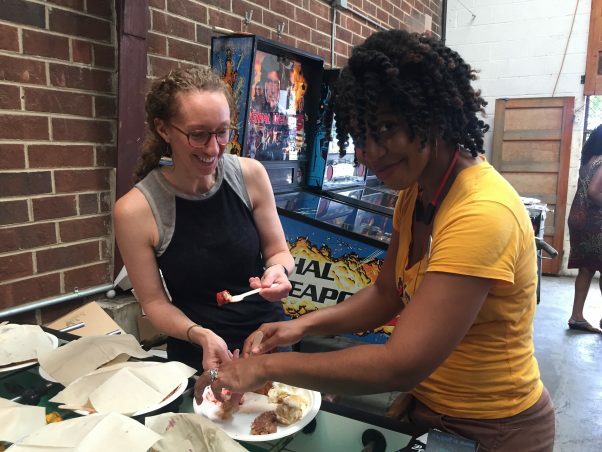 We are grateful for everyone who came out, volunteered and bought pie – by 4 PM all of our pie had sold! 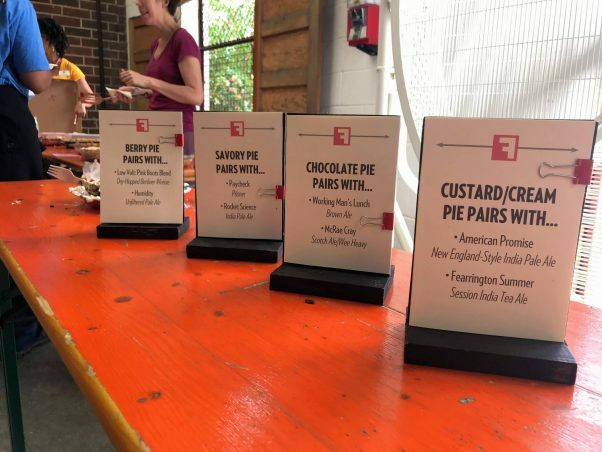 We hope you enjoyed all of the delicious flavors, from savory tomato pie to sweet potato and chocolate cream and all the flavors in between! 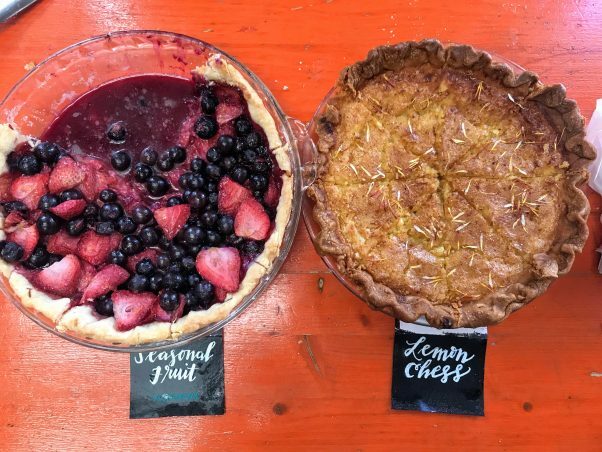 This year’s Pie Judges had a particularly hard time choosing a winner for this year’s Pie Social, but in the end chose Scratch Bakery for best savory pie with the Poached Green Garlic and Potato Galette, Monuts for best sweet pie with their Honeysuckle Chess Pie, and Lauren Siverly for best community pie with their Blueberry Blackberry! 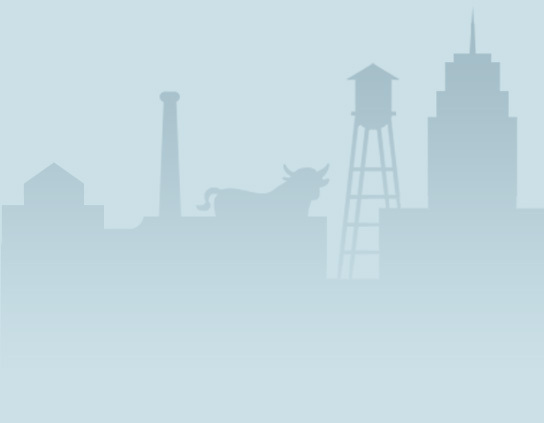 A big thank you to Sandi, Tiffany and Trevor, SEEDS board members and staff, for judging this year’s contributions. 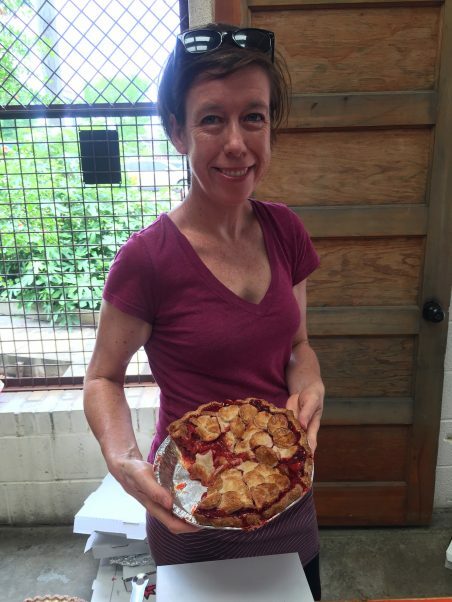 Stay tuned next spring for the announcement about next year’s Pie Social – we hope to see you there! 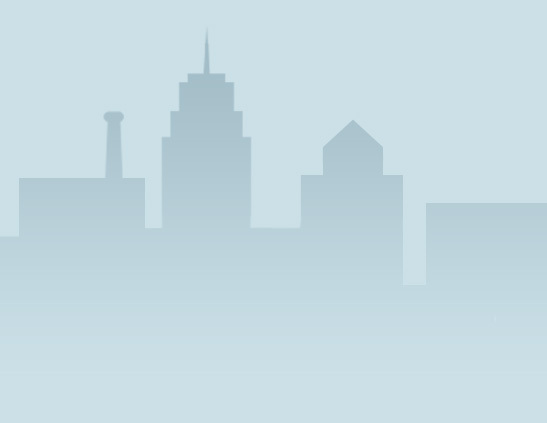 The toefl exam is so important because many institutions both educational, government and firms will demand it before they https://college-homework-help.org/ give you attention as a non-indigene in an english speaking country.